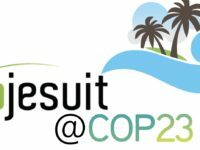 Between 6 to 17 November, over 30 Jesuits and partners will hold events during the UN COP23 climate change conference in Bonn, Germany. Taking place while the UN talks are going on, the main Ecojesuit event will be a dialogue conference on 13 November entitled “Laudato Si’ – Environment is Relationship” hosted by the Aloisiuskolleg, a well-known Jesuit school in Bonn. Open to all COP23 delegates, NGO staff and members of the public, the event will gather speakers from around the world, including Micronesia, Latin America, Central Africa and the Philippines. The speakers will reflect and exchange on the challenges in caring for our Common Home. On the same day, Ecojesuit will host a “Laudato Si Fair” at which representatives from various Jesuit institutions, Conferences and ecology-related initiatives will showcase their activities. Other events during COP23 include a meeting of the ecology cluster of the Jesuits in Europe “Higher Education for Social Transformation” (HEST) group. The inspiration for Ecojesuit’s presence at COP23 is Pope Francis’ call in Laudato Si’ for “a new and universal solidarity”. 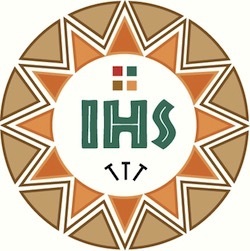 Also relevant is last year’s Jesuit General Congregation 36 call for greater “collaboration among Jesuits and Jesuit apostolates through networks”. Ecojesuit believes that COP23 is a context where the Society of Jesus can promote its call for reconciliation between creation and people. This process will strengthen our contribution to the Society’s discernment of apostolic priorities. Commenting on the initiative, Ecojesuit Europe representative Henry Longbottom SJ said “COP23 gives us a fantastic platform to get to know and learn from others in the Society and elsewhere involved in sustainability. We also hope to communicate to the world something about an Ignatian approach to the challenges of climate change”. Daily reports will be posted on Ecojesuit. Please also follow us at EcojesuitCOP23 and on twitter using hashtag #EcojesuitCOP23. 1. Ecojesuit is a global network of Jesuits and partners collaborating with others in research, education and advocacy to promote sustainability and reconciliation with creation. The Ecojesuit team supports greater commitment, solidarity and action. We encourage stronger leadership in the Society’s commitment to the principles of Laudato Si’. 2. COP23 is the 23rd annual UN climate change conference, a round of negotiations that takes place between nations of the world. The presidency of COP23 is the state of Fiji, but the summit will take place in Bonn. The focus of discussions will be to progress the aims and ambitions of the Paris Agreement.